Nate Ball is the host of the Emmy and Peabody award-winning PBS reality shows Design Squad and Design Squad Nation. An MIT graduate with a Master's Degree in mechanical engineering, Nate is also the cofounder of Atlas Devices, a two-time All-American pole-vaulter, and a competitive beatboxer. He lives with his wife in Cambridge, Massachusetts. 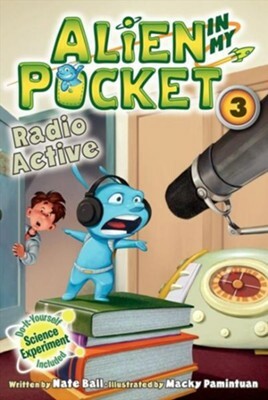 I'm the author/artist and I want to review Alien in My Pocket: Radio Active.